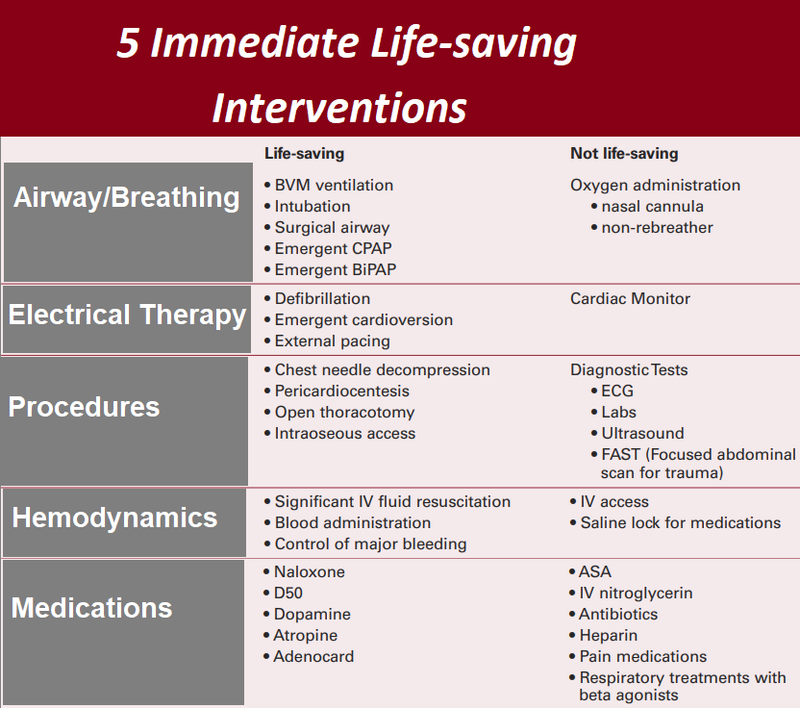 There are 5 interventions that are considered lifesaving and those that are not, for the purposes of ESI triage. Interventions not considered lifesaving include some interventions that are diagnostic or therapeutic, but none that would save a life. 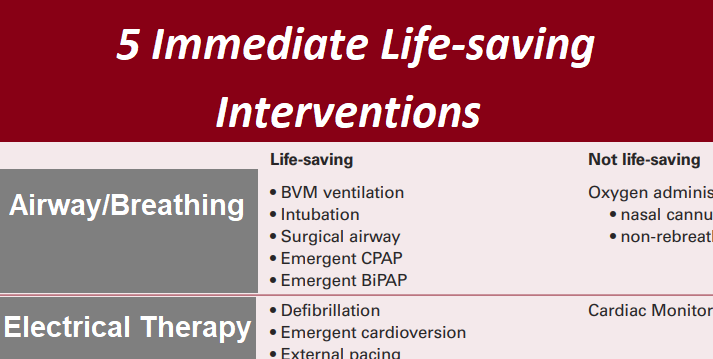 Lifesaving interventions are aimed at securing an airway, maintaining breathing, supporting circulation or addressing a major change in level of consciousness (LOC). • Does this patient have a patent airway? • Does the patient have a pulse? • Is the nurse concerned about the pulse rate, rhythm, and quality? • Was this patient intubated pre-hospital because of concerns about the patient’s ability to maintain a patent airway, spontaneously breathe, or maintain oxygen saturation? • Is the nurse concerned about this patient’s ability to deliver adequate oxygen to the tissues? • Does the patient require an immediate medication, or other hemodynamic intervention such as volume replacement or blood? • Does the patient meet any of the following criteria: already intubated, apneic, pulseless, severe respiratory distress, SpO2 < 90 percent, acute mental status changes, or unresponsive?